ETERBASE (XBASE) is a cryptocurrency token generated on the Ethereum blockchain. The total supply of ETERBASE that will ever be issued is 1.00 Billion tokens, and the current supply of XBASE in circulation is 490.02 Million tokens. Current ETERBASE price is $ 0.00371 moved down to -12.5% for the last 24 hours. All time high (ATH) price of ETERBASE reached $ 0.0119 on 29th Mar 2019 and fallen -68.9% from it. ETERBASE's share of the entire cryptocurrency market is 0.00% with the market capitalization of $ 1.82 Million. ETERBASE’s 24 trading volume is $ 555.85 Thousand. It is trading on 11 markets and 5 Exchanges . Find more details about ETERBASE cryptocurrency at the official website and on the block explorer. ETERBASE price Index provides the latest XBASE price in US Dollars, BTC and ETH using an average from the world's leading crypto exchanges. The ETERBASE to USD chart is designed for users to instantly see the changes that occur on the market and predicts what will come next. 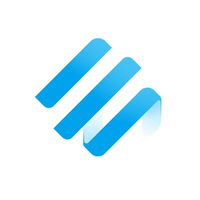 The ETERBASE team aims to build a trading platform that addresses the issues currently facing first-wave exchanges such as lack of regulatory compliance, poor UX/UI, slow trading speeds, and scalability problems. XBASE tokens allow their holders to benefit from discounted trading fees. Holders of large amounts of XBASE are entitled to become premium members, who are granted a range of benefits, including zero trading fees, up to 100 portolios, direct market access, priority customer support and others.